A judge ruled Wednesday that President Trump can't block Twitter followers. 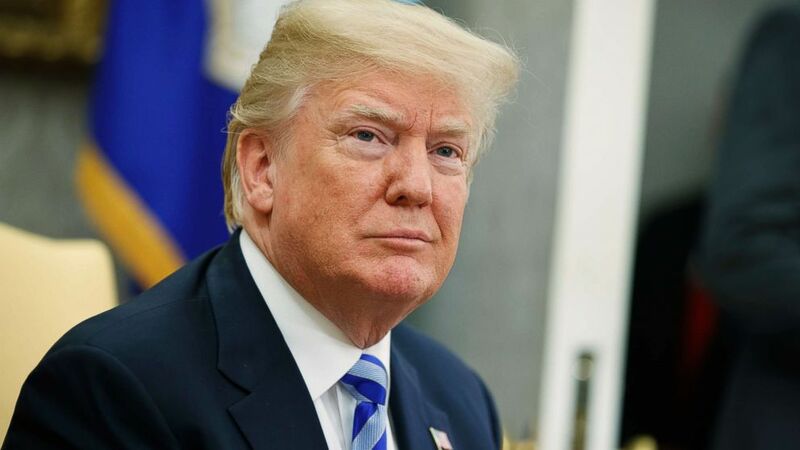 A federal judge in New York ruled Wednesday that President Donald Trump can't block people from his Twitter account because they disagree with his political views, saying such action violates the First Amendment. "This case requires us to consider whether a public official may, consistent with the First Amendment, 'block' a person from his Twitter account in response to the political views that person has expressed, and whether the analysis differs because that public official is the President of the United States," the judge wrote in her ruling. In response to the ruling, Kerri Kupec, spokeswoman for the U.S. Justice Department, said in a statement, "We respectfully disagree with the court's decision and are considering our next steps." The Knight First Amendment Institute filed the lawsuit in July 2017 on behalf of seven people who had been blocked from the president's @realDonaldTrump Twitter account after they had individually "tweeted messages critical of the President or his policies in reply to tweets from @realDonaldTrump." The suit also named as defendants Daniel Scavino, the White House director of social media and assistant to the president; White House press secretary Sarah Sanders and former White House communications director Hope Hicks. Since being block, they were unable to see the president's tweets that have included policy proposals and cabinet appointments. The blocked individuals have had to use workarounds or go through third-party accounts to view the president's tweets, according to the lawsuit. "These limitations are cognizable injuries-in-fact," the lawsuit contended. "The individual plaintiffs' ability to communicate using Twitter has been encumbered by these limitations (regardless of whether they are harms cognizable under the First Amendment)," according to the suit. In her ruling, Judge Buchwald rejected arguments from the president's layers "that the First Amendment does not apply in this case and that the president's personal First Amendment interests supersede those of plaintiffs." Buchwald issued a "declaratory judgment" on behalf of the plaintiff, writing, "no government official -- including the President -- is above the law, and all government officials are presumed to follow the law as has been declared."